On the second day of his official visit to Israel on July 2, 2018, Deputy Prime Minister and Defense Minister Damir Krsticevic visited the Ramat David Air Force in northern Israel. There are three squadron of Israeli F-16 multi-purpose combat aircraft at Ramat David Air Base. 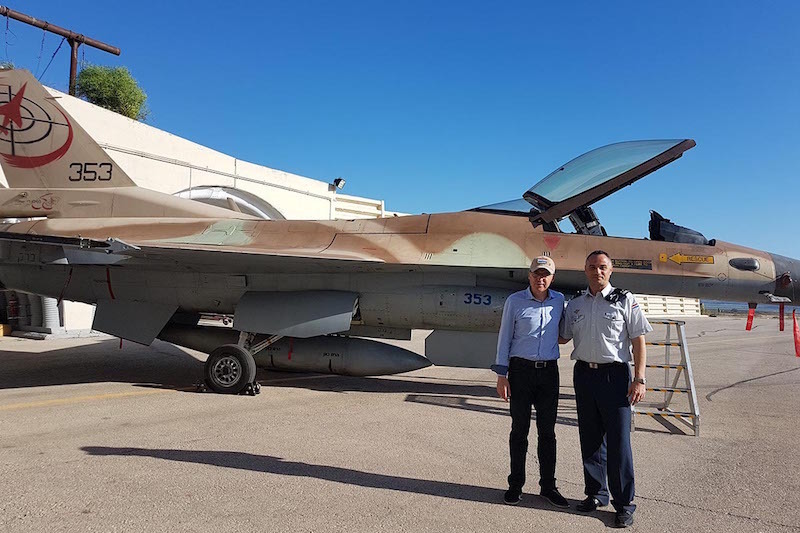 Also at Ramat David, on April 9, 2018, Colonel Željko Ninić was the first Croatian pilot to fly the Israeli F-16. Minister Krstičević was received at Ramat David by the base commander, and on that occasion inspected the Israeli F-16 Barak fighters. (EDITOR’S NOTE: Croatia is buying 12 F-16 C / D Block 30 Barak aircraft (ten single-seaters and two two-seaters). The deal includes logistic support in Croatia and engineering support in Israel. The aircraft have undergone a series of upgrades and system and structure modernisation, ensuring a high technological content. They will be delivered with a remaining lifetime of at least 3,000 flight hours, which the Croatian Air Force considers is sufficient for the next 25 years. The deal is valued at $500 million, although this figure has not been officially confirmed.